With older age in particular, it’s important to make sure that you’re stimulating and engaging with your mind. There’s a common stereotype that seniors spend all day sitting in their lounges watching daytime television, and while this may not apply for everyone, it certainly shouldn’t be the case at all. While we’re in the world of work, we’re constantly bombarded with problems and questions that keep us busy, as well as playing games, sports, and puzzles in our free time, all of which come together to keep our minds active. However, as a senior, we typically have more free time, which means you need to be proactive in keeping your brain engaged. If you’re living in your own house, this is something you’ll need to do yourself. If you’re living in a nursing home, you might have to ask for opportunities for brain stimulation. Today, we’re going to explore everything you need to know in order to keep your minds active in the form of brain games, allowing you to enjoy many fun-filled hours of activities, regardless of whether you’re in your own home or a nursing home environment. Keep in mind there are many other ways to stimulate your brain, such as crafting or actively exercising in general. What are the Benefits of Brain Exercises? Brain games are entertaining for all ages, offering a range of benefits that can help to improve an individual’s mental capacity and abilities. In turn, these can help to fight the symptoms and worsening of age-related conditions, such as dementia and Alzheimer’s, ultimately contributing to a greater and more happier sense of well-being. One of the advantages that come from engaging in brain exercises is the fact that they can be played solo or as a part of a team. This can have a positive effect on a senior’s sense of being and helps them to maintain the necessary skills to engage in social situations. This is a great way of fighting off the symptoms of social anxiety and loneliness, which over time can lead to other health-related conditions such as anxiety and depression. Organizing, engaging and partaking in brain exercises offers a wide range of benefits in addition to the entertainment factor involved. It doesn’t matter whether these games are played with other seniors or loved ones, such as grandchildren and other family members, the benefits will remain the same. Below is a detailed analysis of a number of brain games you can give a try, promising fun-filled hours and countless mental and physical benefits. Crosswords have been popular among seniors for several generations and for good reason. These puzzles are easily accessible online or in a book format and there is a good chance you can find them in your daily newspaper. Crosswords are fantastic brain games because they require the individual to use their memory recall function to find the words they’re looking for. They also help a senior’s association capabilities, since they’ll need to match the clues with the word that fits the box, helping to fight the symptoms of dementia. 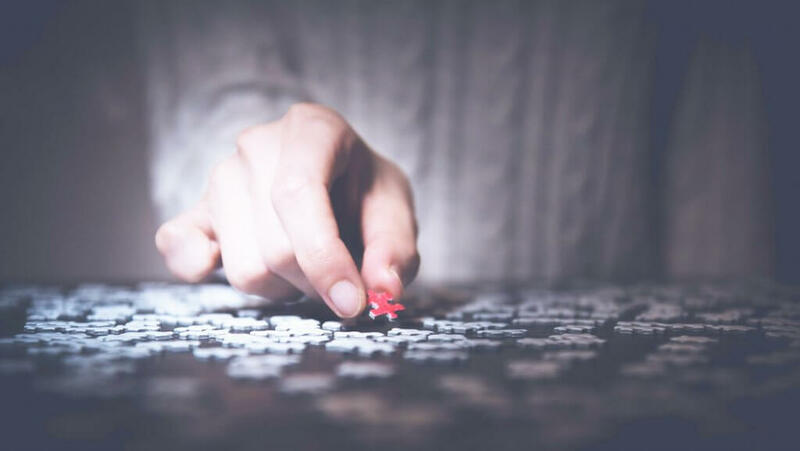 These engaging puzzles can be played solo or as part of a team, meaning they have a social aspect, even if you are simply asking for help on just a single word entry. There is a huge variety of difficulty levels out there, and there’s no reason why you can’t make your own! With the first Sudoku published back in 1979, these puzzles have long been popular around the world. The concept of a Sudoku puzzle is simple. Use the existing pattern to fill in the blanks of numbers 1 – 9. Each row, either horizontally or vertically, cannot contain the same number and you simply go through each box until the puzzle is complete. 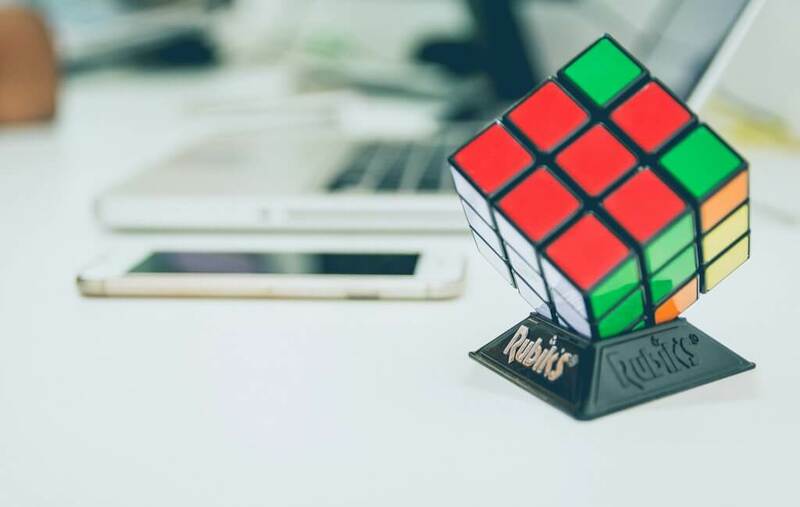 In addition to improving your concentration power, these puzzles can help to improve your memory skills (since you’ll have to remember the locations of other numbers), are mentally stimulating and improve the ability to carry out tasks quickly. There is also the much-needed sense of achievement once a puzzle has been completed. Did you know? Both Sudoku and crossword puzzles are renowned for their brain-enhancing properties. In fact, there are many studies that show just a few minutes of these a day can even improve your IQ! 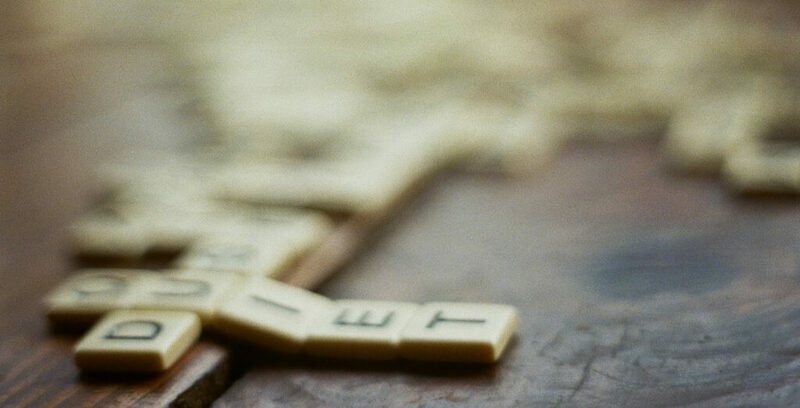 Scrabble is a multiplayer game, meaning that there’s a wealth of social benefits that come with playing it. Some of the most researched benefits of playing Scrabble include lower blood pressure (due to the fact it’s a calm and relaxing game), improves memory functions (since you’ll be recalling words to place on the board) and an overall sense of happiness. While playing you will inevitable run into situations where people put down funny words or words that don’t make sense, typically resulting in the players laughing. This means endorphins are being released into the brain, making the players naturally happier and improving their overall well-being. Note: Endorphins are a very important chemical released in our brains. It’s responsible for triggering positive feelings and lessening feelings and symptoms of pain. Thanks to the development of modern-day technology, there are a number of apps and computer programs out there with the sole purpose of developing the player’s mental functions and providing all the benefits that brain games offer. It doesn’t matter whether you’re playing on a computer, a smartphone (iOS/Android) or a large-screen tablet, these apps are accessible on almost all platforms. Typically, they will provide the users with daily games to play out of a selection that’s available. This helps to cover all areas of the brain, providing countless benefits and mental stimulation. What we really love about brain training apps is the fact that they’re very visual and highly engaging since they are designed to be this way. This means that seniors can become very involved in the brain training process in an easy to understand and very stress-free manner. Nearly every brain training app will come with some sort of progress record. This means you and the senior will be able to visually see how they’re improving over time, providing them with an essential sense of self-accomplishment and reward. A list of brain training games wouldn’t be complete with a mention of chess, one of the most popular board games that have ever existed. 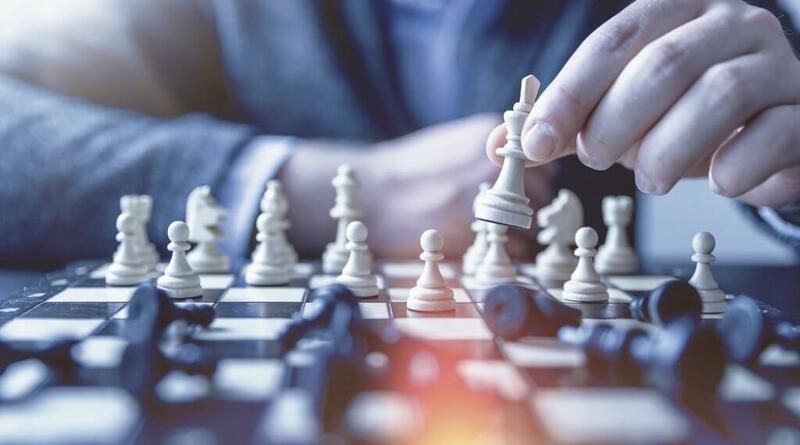 Chess is a two-player game and can become highly competitive, which only heightens the sense of accomplishment upon winning a game. There has been a vast amount of research into just how beneficial this popular strategy game is. 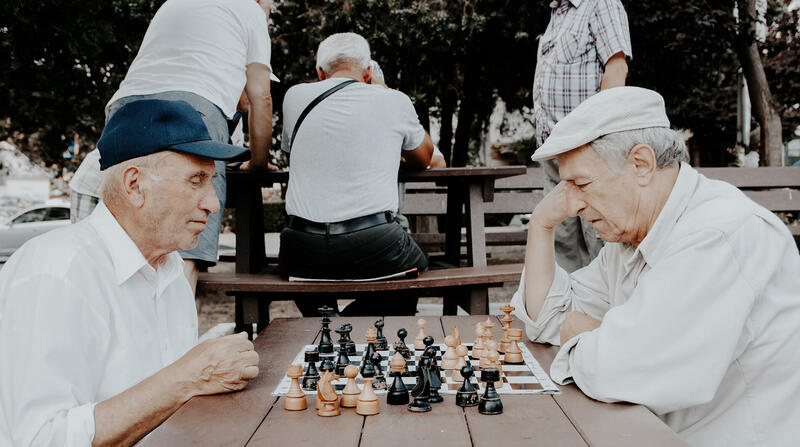 For seniors, studies suggest that anybody over the age of 75 who plays chess are far less likely to contract mental conditions such as dementia and Alzheimer’s since this is a brain-stimulating activity. Interestingly, playing chess even helps to engage both the logical and the creative side of the brain. This, in turn, will help seniors to strengthen their abilities to think for themselves, as well as helping to develop their problem-solving abilities and their memory functions, since they’ll need to remember where all the pieces are on the board in order to succeed and win. Jigsaw puzzles are excellent games for helping seniors to improve their short-term memory functions. The association benefits are also astounding since they’ll need to be able to sort through different sized pieces and colors to find the pieces that they’re looking for. 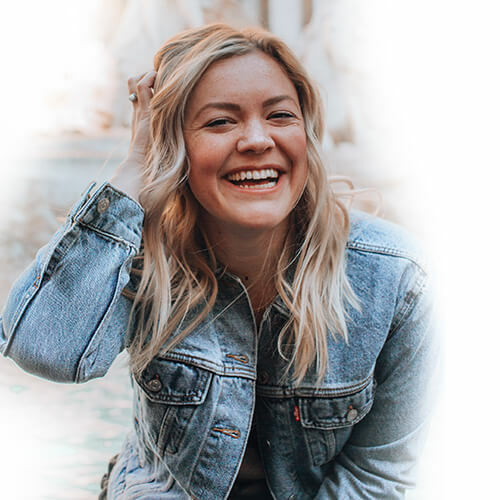 Research has shown that ‘clicking,’ the act of finding and connecting two correct pieces, releases dopamine which is associated with happiness and an overall improved sense of well-being. This neurotransmitter can help to improve levels of concentration. Jigsaw puzzles hold a huge social potential since they are perfect to solve in groups. This helps to build elements of teamwork and the ability to connect and communicate with other people, as well as being able to share the accomplishment of completing the puzzle together. The tray game is a firm favorite among seniors, particularly in nursing homes and assisted living since it can be played solo, or as a part of a team, and can be set up incredibly easily, requiring next to no preparation. All you need to to is take a tray and fill it with an assortment of random items. These can be any items you like from any room in the building, or even from the garden. You’ll want around 10-20 items, varying depending on the mental capacity of the seniors you’re playing with. Simply present the tray with the items and allow the seniors to remember as many items as possible within a certain limit. This can vary, but around 5-10 minutes will be more than enough. You then remove the tray, give everybody a pen and paper and they simply write down as many items as they remember. This is predominantly a memory-orientated game that can provide many benefits in the mental area. You may want to set up teams, which can then include a social and team-building aspect. This is perhaps the easiest yet one of the most challenging mental tasks out there, and it’s sure to leave you laughing when you realize how difficult it actually is. Brain yoga includes simple tasks that you carry out with your mind using your body, in the aim of improving your hand-eye coordination, motor abilities and improving your neural pathways and, therefore, your mental abilities. Make a fist with your left hand and then raising your thumb. Holding this, make a fist with your right hand but extend your pinkie finger. Not as easy as it may seem, right? There are countless variations of this kind of activity which you can experiment with, whether that’s raising a finger, your toes, an arm, or rubbing your stomach and patting your head. Whatever activity you decide upon, each one will help to improve and develop your muscle memory, as well stimulate the grey matter in your brain. Any card game is a mentally stimulating game in its own right, and there are far too many different sorts to list here. There are card games to suit all ability, skill, physical and mental capabilities. 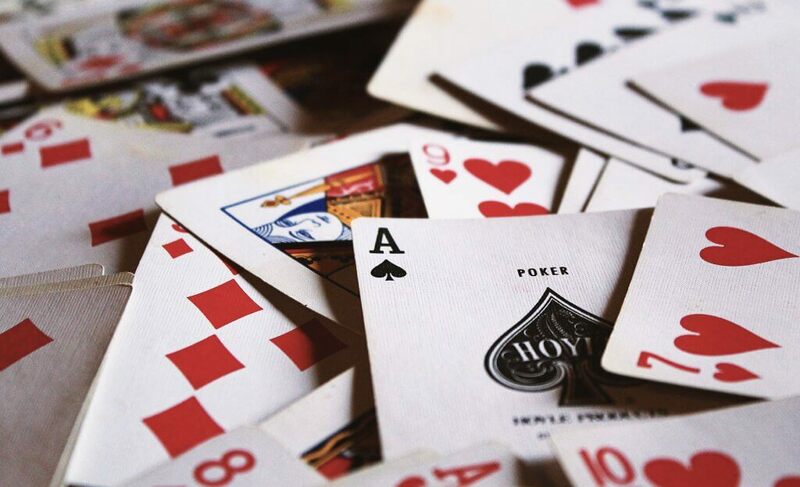 For example, as a more complex game, you might like to try something like Rummy where you need to ‘trade’ your cards with other players and with the deck. This is a great social game and requires a certain level of concentration and memory to be able to play successfully. In the case where the mental capability or motor skills are affected by a condition or illness, even simple games like Snap or Go Fish are ideal for working out the brain and making improvements in these areas. Hey Isabella, good read. Brain games are a lot of fun and have benefits too. Seniors can also try escape room games, as these offer some physical activity integrated with brain games. They help boost memory, reasoning, cognitive skills and slow the risk of dementia and other diseases.